4 cosy, self catering holiday cottages offering accomodation for between parties of between 2 and 7 guests. 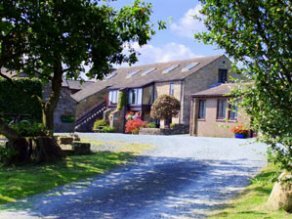 Located in Three Peaks country on the edge of the Yorkshire Dales close to the village of Ingleton but within easy reach of the market towns of Settle, Kirkby Lonsdale, the Lake District, Forest of Bowland, Yorkshire Dales & the Morecambe Bay Towns & Villages. 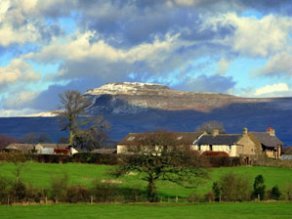 The Three Peaks challenge of walking Pen Y Ghent, Whernside & Ingleborough is very popular and very close to the accomodation. It can be done in one day or individually, to suit the fitness of the party. 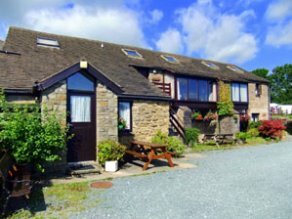 The holiday cottages are set in 6 acres of beautiful open countryside with superb panoramic views. The local area has excellent walking, cycling, fishing and caving opportunities including the famous Ingleton Waterfalls walk. The hosts are pleased to share their extensive local knowledge of these activities. The holiday cottages are stocked with handmade pots crafted at the adjacent Bentham Pottery. Pottery courses can be arranged, though guests are quite welcome to simply watch the potters at work. Self catering holiday cottages are available throughout the year. Ample parking, barbeque area, picnic area and a max of 2 pets pets by arrangement. Three pubs are within walking distance of the cottages, in the two adjacent villages. Outdoor shops and cafes/pubs are available in the close-by village of High Bentham & Ingleton.